Sudanese President Omar Al-Bashir has said that Halayeb and Shalateen are for Sudan, however, Khartoum does not have evidence that Halayeb lies within its borders. “We will not fight Egypt. We will try to resolve the issue through dialogue and negotiations with our Egyptian brothers. In case of inability, we will have to resort to arbitration and the United Nations. We have hope to reach a happy ending through understanding and negotiations. We will not wage war against Egypt,” Bashir said adding that the two countries and peoples are able to solve the borders issue. Bashir added that his agenda for the meeting with Egyptian counterpart Abdel Fattah Al-Sisi includes regional issues of joint interest. In an interview with the London-based Al-Sharq Al-Awsat newspaper, Bashir stressed the strong bilateral ties between Khartoum and Cairo. Several accomplishments were made like land roads linking between the countries. He also hinted to an agreement signed between the countries called the four freedoms agreement, which is suspended by Egypt. 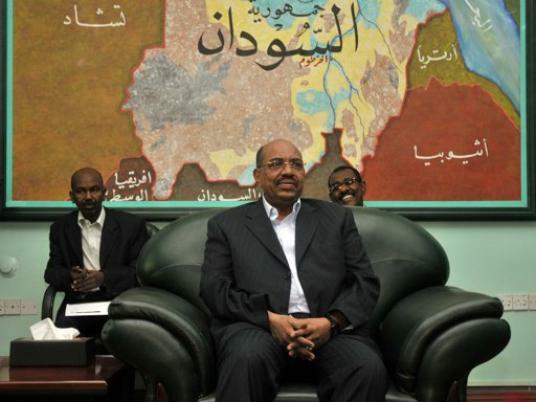 If achieved, according to Bashir, the borders between Egypt and Sudan will be canceled. Egyptian and Sudanese citizens will have the right to live, work, move across and own in the two countries. He also indicated to having three land roads between Egypt and Sudan including one east of the Nile, which was opened recently, one west of the Nile that will be finished soon and the coastal one, which is finished but has a problem with the borders, however, trade and transportation are going on it. In general, Bashir said that the ties are going on the right way.